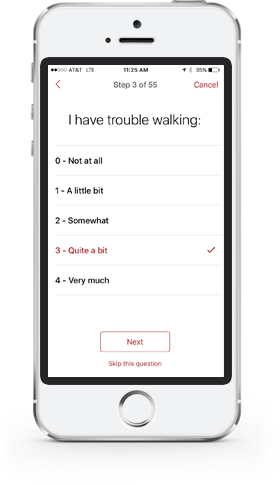 will collect information related to multiple sclerosis and measure my walking, cognitive, and visual abilities directly from my mobile device. will gather all my MRI scans and will allow direct visualization of images on my mobile device. will allow me to easily access my genetic information related to ancestry, personal traits, and various inherited conditions. will monitor and graph my condition using an interactive and friendly dashboard. 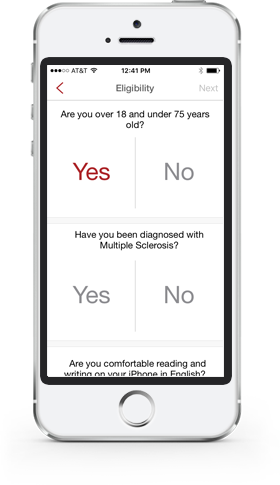 Individuals who are diagnosed with multiple sclerosis may be eligible to participate if they are 18 years or older and have access to a smartphone and above. myMS™ is available in English only at this time. Research subjects interested in sharing information about their multiple sclerosis will help create a large community-based research database to answer the most challenging questions. myMS™ will provide consolidated and personalized graphs that may benefit participating patients, their treating physicians, and other healthcare providers. 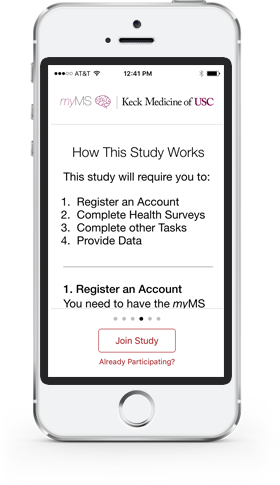 myMS™ will remind you to repeat the surveys and the assessments every 3 month!